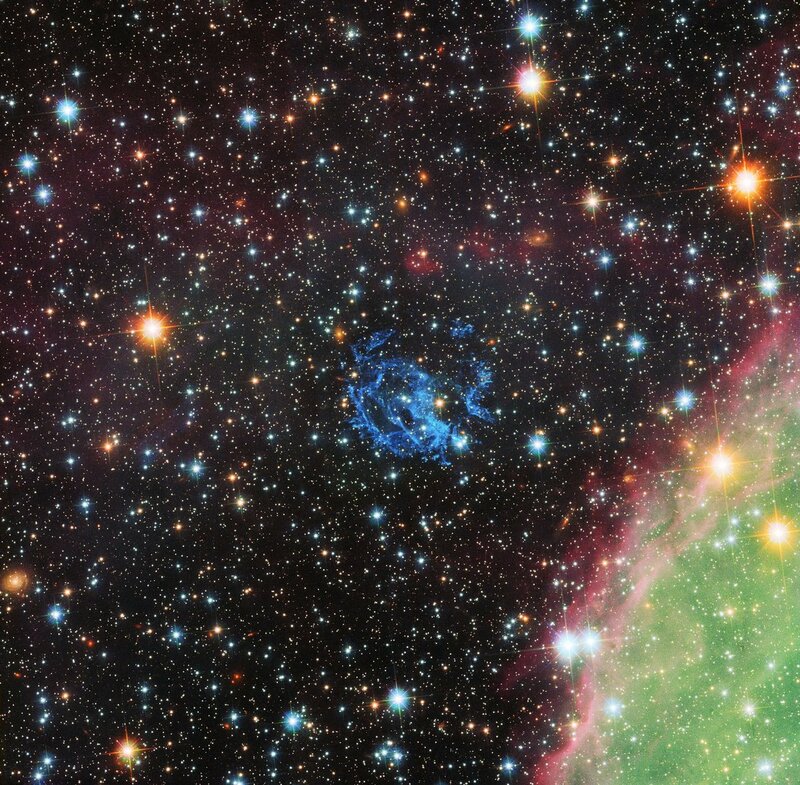 Astronomers peering into the constellation Tucana using the European Southern Observatory's Very Large Telescope in Chile have discovered the remnant of a stellar explosion hidden amid the colourful clouds of the Small Magellanic Cloud. 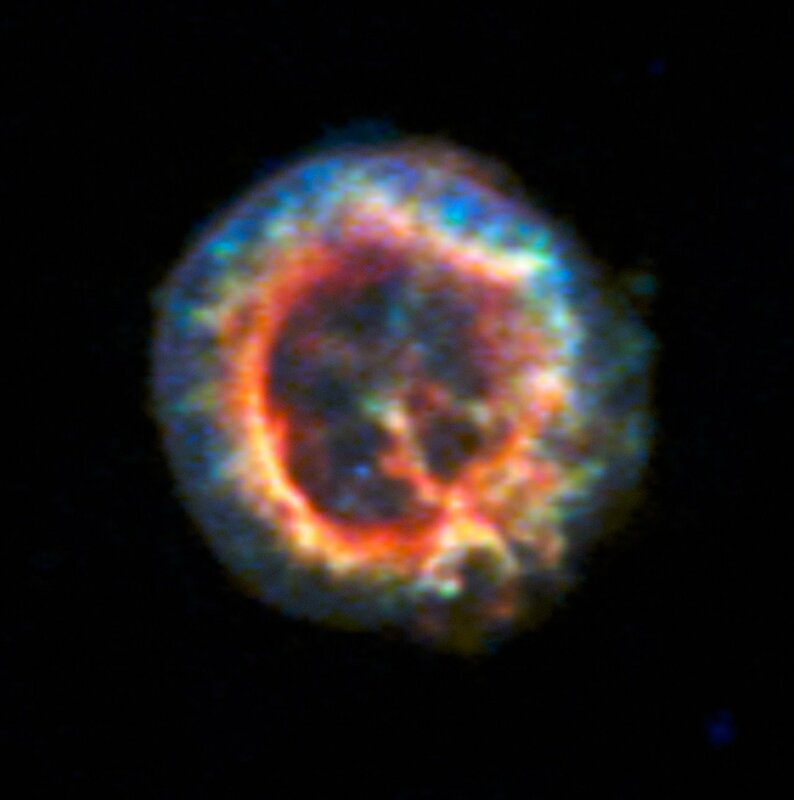 This marks the first time a supernova remnant was discovered outside of the Milky Way. This stellar remnant holds significance as it may be the source of 'p1', a source of X-ray waves whose location has been unknown to scientists for years. Through an instrument called MUSE (Multi Unit Spectroscopic Explorer) on the Very Large Telescope, the team discovered that the cosmic ring completely encircled p1. 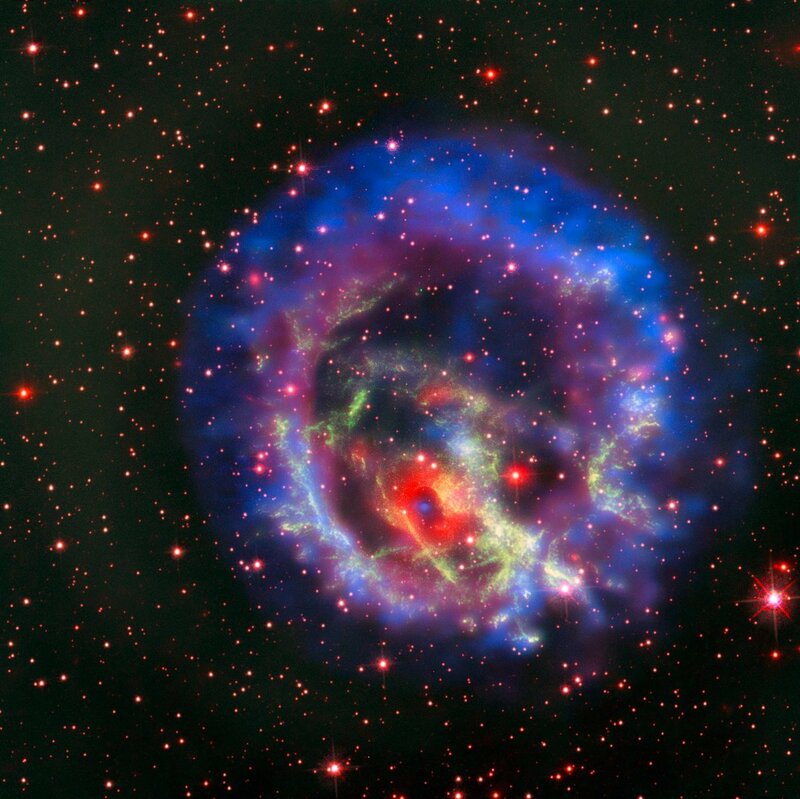 As the team discovered that the neutron star at the centre of the remnant and p1 were the same objects, they compared their findings with X-ray data collected by NASA's Chandra X-ray Observatory on this region to confirm their discovery.